Dr. Anis completed his medical education in Pakistan where he also completed a Cardiology Internship. He performed his residency in Internal Medicine at the St. Francis Medical Center in Pittsburgh, PA. 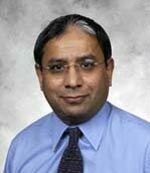 He continued on to a Nephrology Fellowship at the Allegheny General Hospital in Pittsburgh, PA. Dr. Anis is Board certified in Nephrology and Internal Medicine. He is a member of the Pennsylvania Medical Society as well as the American College of Physicians. He has been in practice in Bucks County for 16 years. Dr. Frankel graduated from the University of Rochester in Rochester, NY and from Rutgers Medical School in Piscataway, NJ. He performed his internship and residency in Internal Medicine at Thomas Jefferson University Hospital in Philadelphia, where he was named Intern of the Year. He spent a year as Chief Resident in Internal Medicine at Jefferson and then completed a Nephrology fellowship there. 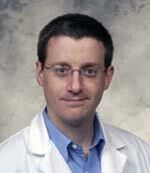 Dr. Frankel is Board Certified in Internal Medicine and Nephrology. He is a member of the American College of Physicians, the American Society of Nephrology and the Renal Physicians Association. Dr. Frankel also serves on the Medical Executive Committee as well as the Credentials Committee of St. Mary Medical Center in Langhorne, PA.
Dr. Barlapudi completed her medical education in India at the Sri Siddhartha Medical College. She did her internship and residency LSU in New Orleans, followed by a fellowship in Nephrology at LSU. 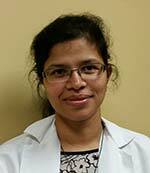 Dr. Barlapudi is Board Certified in Internal Medicine and Nephrology. She is a member if the American Society of Nephrology. 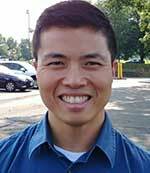 Dr. Lee is a graduate of the University of California, Davis and Lake Erie College of Osteopathic Medicine. He also completed graduate school at Barry University. He performed his internship and residency in Internal Medicine at The Wright Center in Scranton and his nephrology fellowship at Drexel University/Hahnemann Hospital. Dr. Lee is also a member of the American Society of Nephrology and the National Kidney Foundation. Christine received her Diploma in Nursing from the Allentown Hospital School of Nursing in Allentown, PA. She then received her BSN and MSN from La Salle University in Philadelphia, PA. She has worked as a Transplant Coordinator at a major tertiary care referral center. 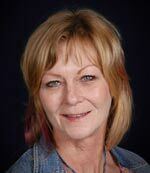 She is certified by the American Nurses Credentialing Center and the American Board of Transplant Coordinators. Christine is a member of the North American Transplant Coordinators Organization, the International Transplant Nurses Society and serves as treasurer of the Delaware Valley Chapter of the International Transplant Nurses Society. As a nurse practitioner, Christine is a valuable addition to Nephrology and Hypertension Associates.